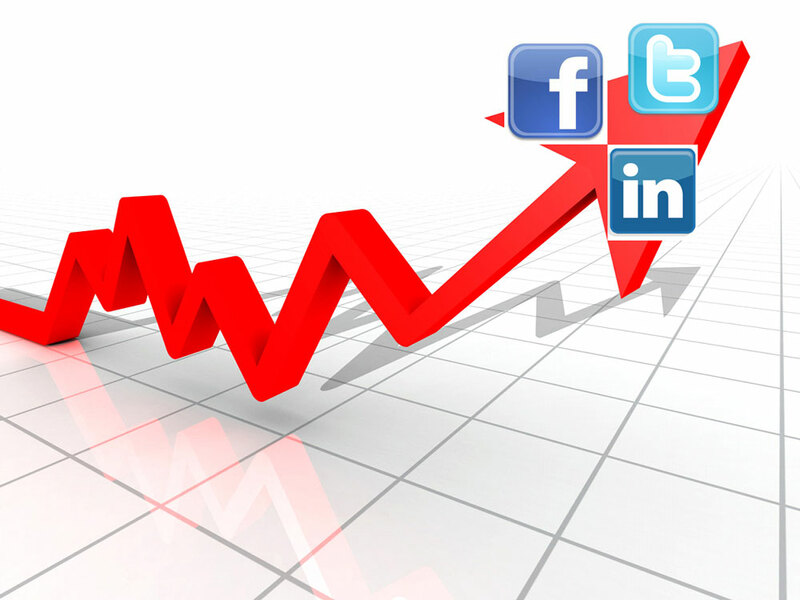 Feeding your own social media channels is a terrific first step. But don’t stop there. To get the biggest bang for your social media buck, promote your Facebook posts, Tweets, and Pins by friending and following others who have a similar interest or expertise — then mention them. 1) It improves your search results by populating your social media pages and potentially others with quality links that lead back to your page. 2) It establishes social relationships, which is what social media is about, helping you spread what your message when others like, re-tweet, and re-pin what you share. Mentioning clients, friends, and followers is the surest way to get their attention and engage them. 3) It encourages interaction with your message, as readers view such sharing as a conversation and not a sales pitch. 4) It encourages reciprocal sharing, which can help build your audience. 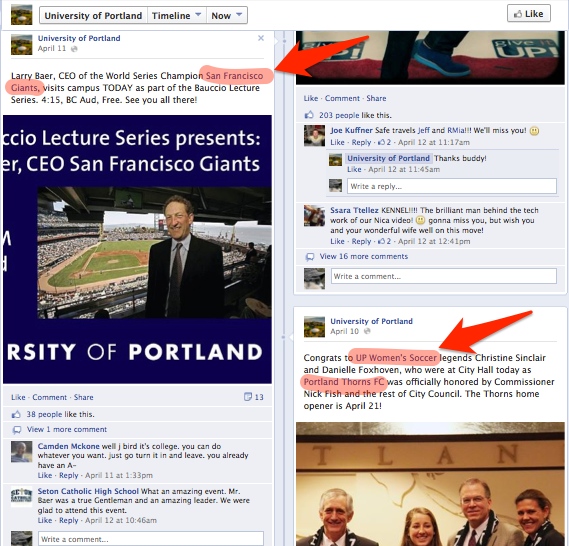 Look at how Joe Kuffner at the University of Portland recent used this strategy on the school’s Facebook page, calling out the San Francisco Giants, the University of Portland’s Women’s Soccer Team, and Portland’s professional women’s soccer team. By mentioning the Giants and the Thorns, the post feeds into what others say on their FB pages (unless that feature is blocked) and the teams can choose to highlight share Kuffner’s UP post with their own fans. The same is true when it comes to mentioning fellow tweeters using their @handle or a commonly searched #hashtag. Followers of those handles or hashtags will see your message and might very well share it and begin to follow you.